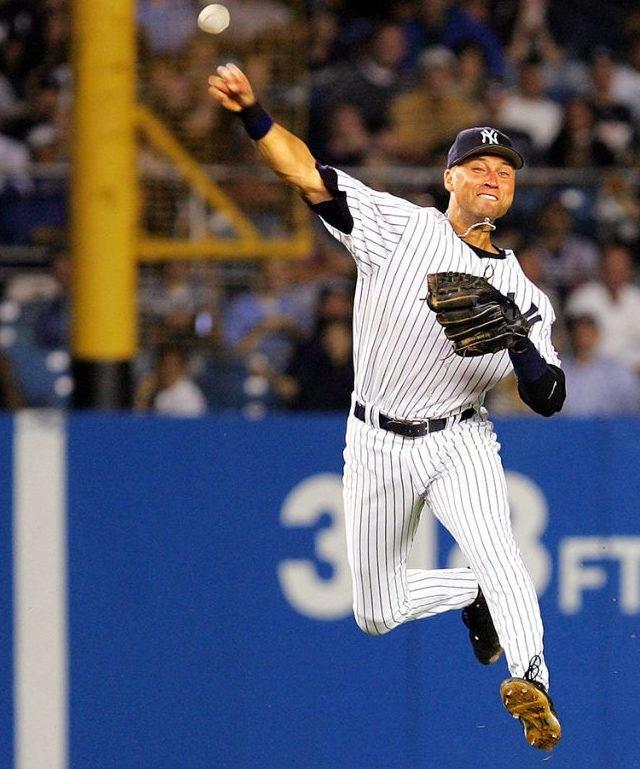 Derek Jeter’s twelve-year run as the team’s captain from 2003-2014 is the longest in the storied history of the New York Yankees. 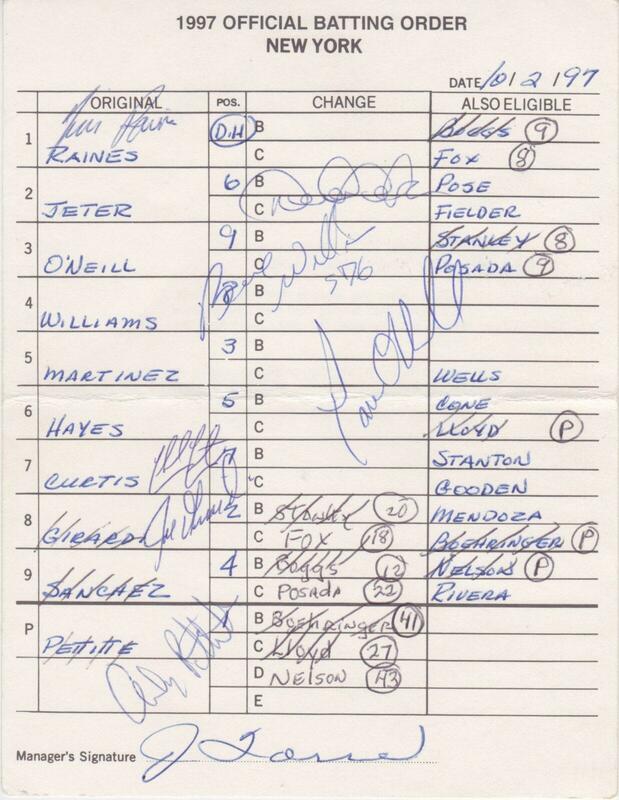 Official lineup card from Game 2 of 1997 ALDS - Jeter homers! This is the lineup card that Hall of Fame manager Joe Torre carried in his back pocket during Game 2 of the 1997 ALDS 7-5 loss to the Cleveland Indians. 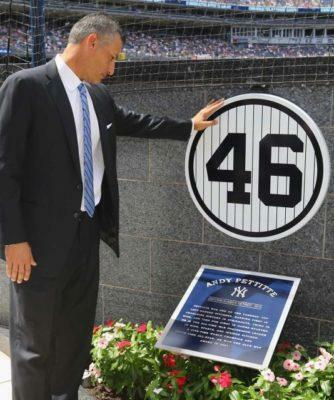 All managers sign the game original but what makes this specimen special is that it’s autographed by seven of the Yankee starters including Derek Jeter. 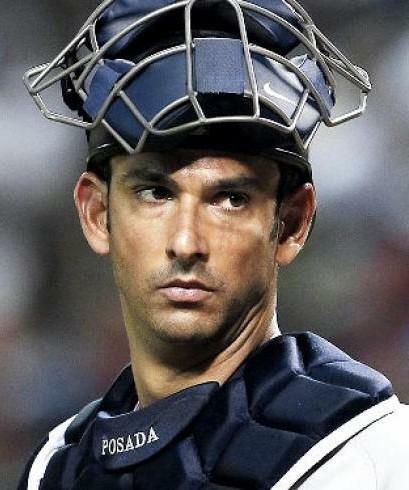 Andy Petite took the loss though no fault of the 23-year-old Jeter who went 2-for-4 with a home run. 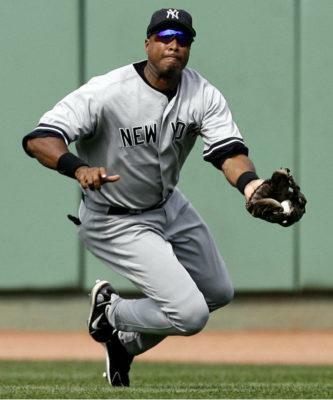 The card is also signed by Tim Raines, Bernie Williams, Paul O’Neill, Chad Curtis, Joe Girardi, and Pettitte. 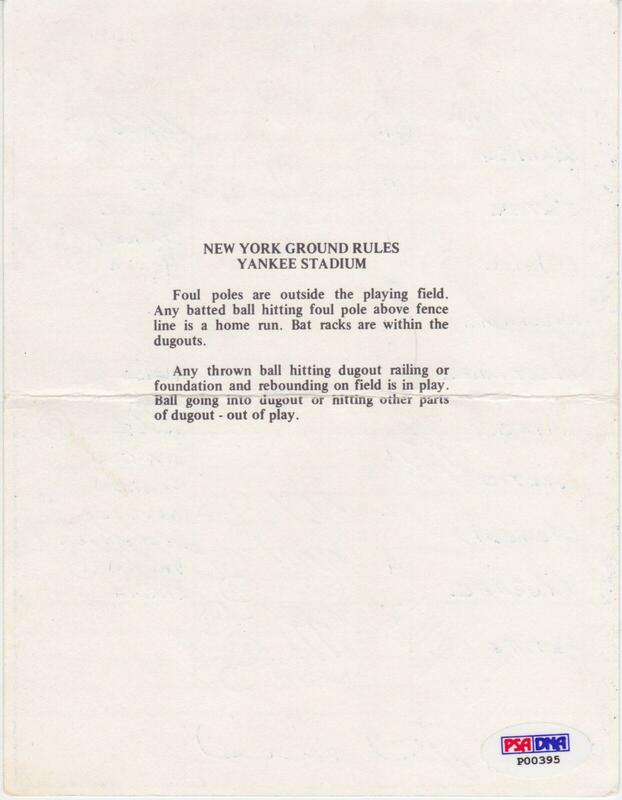 As with every lineup card, the back of this one clearly states the ground rules for the stadium in which the game was played – in this case, Yankee Stadium. 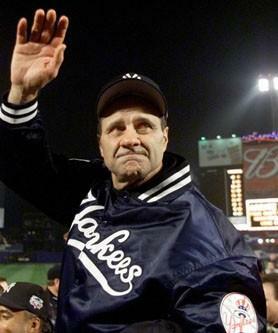 Not the fold lines where skipper Joe Torre bent the card to better fit in his pocket. 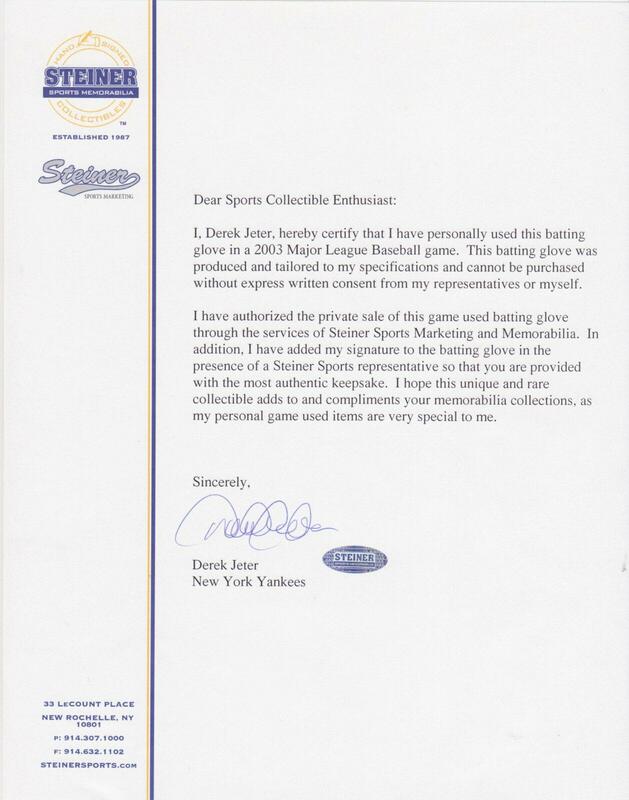 Another example of Derek Jeter’s signature is found here on a letter of authenticity for his batting gloves. 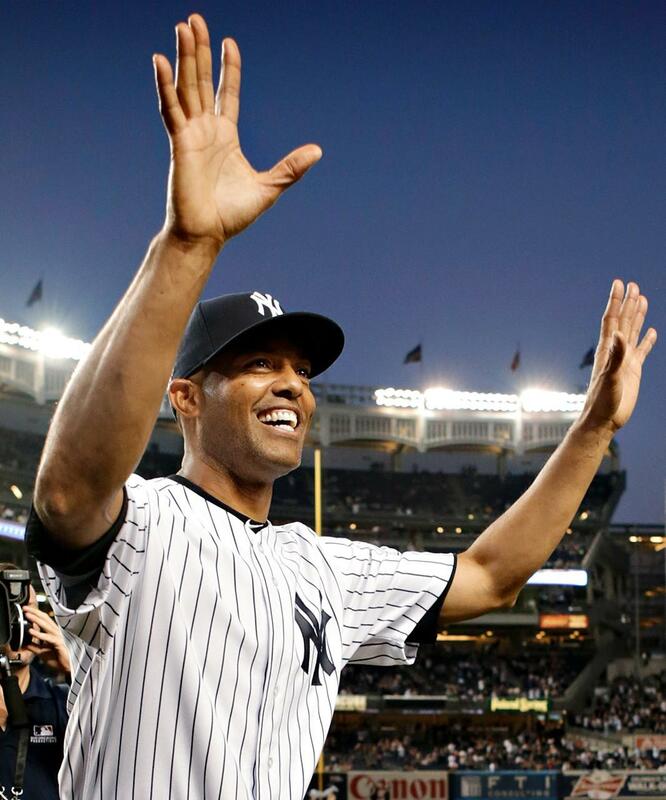 Wouldn’t it be nice to own those gloves? 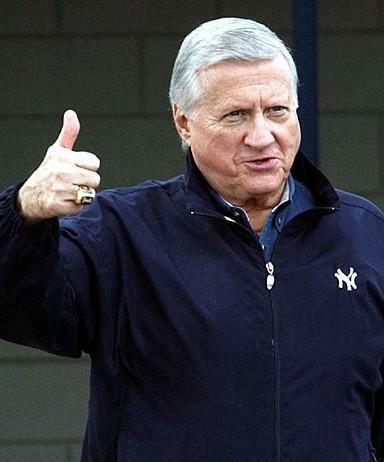 The document is certified by Steiner Sports Memorabilia.